If you aren't, you're losing money. Call me directly to find out if you're doing it right or if you're missing major profit potential. "Americans spent nearly $10.7 billion on cosmetic procedures in 2010. 83% of total procedures performed were non-surgical." "As the popularity of non surgical and minimally invasive procedures continues to grow, surgeons and manufacturers will develop new techniques and products that advance the science, produce even better results and lessen recovery time." "The growth of cosmetic injectables is increasing as products continue to evolve and new players enter the market." "78% of women in the U.S. use the Internet for product information before making a purchase." "Women account for 85% of all consumer purchases including everything from autos to health care." "The discretionary spending power of 50+ women soars by 2.5 times what the average person spends. Women are the primary buyers for big-ticket categories." "The Baby Boomer Generation has more money, leisure time and technology than any other generation in history." 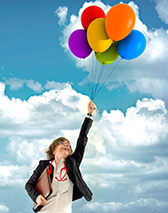 expand your elective, cash procedures? We understand your concerns regarding declining reimbursements, rising competition, staffing issues, and operational challenges. Simply, we're here to help. 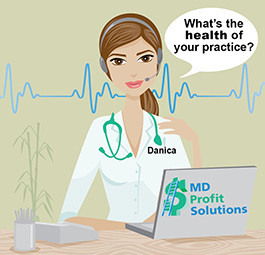 MD Profit Solutions is dedicated to providing creative medical marketing and operational solutions to increase revenue and profit for your private practice. We specialize in promoting elective, cash procedures and services. With our personal and hands-on approach, we devise and implement a competitive strategy for the success of your business. Undereducated staff - What your staff doesn't know and doesn't say could be costing you more profit than anything else. Unimpressive Patient Experience - Are your patients RAVING about you and your practice or are they RAGING about their experience? How can you find out? Poor Cost Controls - What's your biggest profit maker? Your biggest profit eater? If you don't know, you may as well hand out hundred dollar bills on the street. Lack of Marketing Plan - What's your strategy to combat increasing competition and declining reimbursements? No written goals mean you're willing to waddle through and play victim to the economy and competitors. What's your situation at your private practice? 1) I want to learn how to introduce and market aesthetic medicine at my practice. 2) There are too many empty slots in my schedule. How do I fill it up? 3) I'm overwhelmed everyday being the doctor and office manager. I want my staff to work smarter so I can just focus on being a healthcare provider. 4) My monthly overhead costs are so high. How can I fix this? 5) How do I convert more of my consults so they become patients? 6) Members of my group practice are resistant to marketing. How do I implement a plan that makes everyone happy? Are you marketing effectively OR are you missing out on major profit potential? 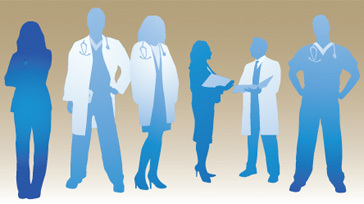 What's the health of your private practice? Get your free, no obligation marketing consultation and request a sample by filling out the form below. Your info is kept private.